The FD-258 Ink Fingerprint Cards are used by the FBI to process an individuals “National Level” criminal background history report. Other methods such as “live scan” digital fingerprinting are required to process an individuals criminal background check at a “State Level”. 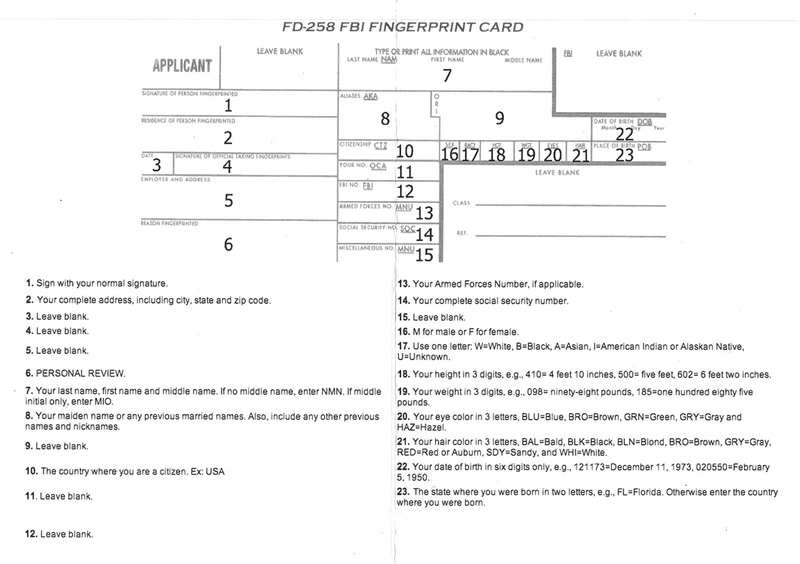 In order to run a criminal history report, the FBI “requires” applicants to be fingerprinted on the blue FD258 fingerprint card by a certified professional. Alive Scan is certified by the California Department of Justice (DOJ) for FD-258 and SF-87 “Hard Card” Fingerprinting in addition to Live Scan Fingerprinting. We are required to id the applicant, sign off on the FD-258 card, and also enter our FPC code. FD-258 requirements often instruct the applicant to go to a Police Station or Sheriff Office for fingerprinting; however, California Police Departments no longer offer ink fingerprinting services. Alive Scan is recognized by law enforcement as an authorized FD-258 ink fingerprint provider in San Diego. 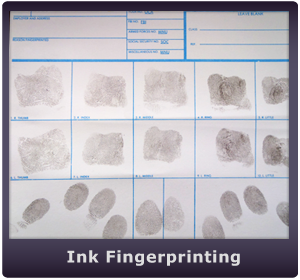 We are certified by the California Department of Justice as a live scan & FD-258 ink fingerprint service provider. People often find it difficult to obtain the required FD 258 fingerprint card. Fortunately, Alive Scan provides these fingerprint cards “FREE” to our customers! However if you do require a blank fingerprint card, you can purchase them for $5.00 each. NOTE: Although the FBI will accept a printed copy of the FD-258 card, we highly recommend using the official 8″ x 8″ FD258 Fingerprint Cards for your ink fingerprinting to avoid extended delays and a much higher rejection rate. FBI Form FD-258 Sample PDF. Blank FD258 Ink Fingerprint Card. Instructions for the FD-258 Fingerprint Card (jpg). When people who reside in California wish to work or become licensed in another state, the FD 258 Card is usually the required method of fingerprinting. When being fingerprinted for reasons within California, live scan fingerprinting is required. Some agencies such as CA Board of Behavioral Sciences offer both methods of fingerprinting. Applicants residing in California are required to submit fingerprints via livescan. If you reside outside of the State of California, you may use the “hard card” fingerprint method. The SF-87 Fingerprint Card is often used my the military and to complete a federal employment security clearance. Alive Scan is authorized to fingerprint SF-87 applicants, although these cards are typically completed by qualified government personal. Some requesting agencies allow the FD-258 Card to be used as a substitute since the two fingerprint cards are very similar. Check with the requesting agency before substituting the FD 258 for the less common SF-87 card. DFAS – Defense Finance and Accounting Service. Applying for federal employment info.